Wild Pacific salmon are integral to the economic and social fabric of coastal communities, and are fundamental to indigenous communities across Canada‘s province of British Columbia. The need to act now to protect habitat and restore the province’s declining wild fish stocks is clear, and indeed vital to the environmental and economic sustainability of the province. As a result, on March 15, 2019, the Minister of Fisheries, Oceans and the Canadian Coast Guard, Jonathan Wilkinson and the BC Premier, John Horgan, officially launched the British Columbia Salmon Restoration and Innovation Fund in Victoria. The fund is a federal-provincial collaboration that will help restore the habitat of BC’s wild fish stocks in communities across British Columbia, and the protection of the province’s vulnerable wild Pacific salmon species. The Government of Canada is investing $100 million over five years, and the Government of British Columbia is investing $42.85 million over five years. “The Government of Canada believes that environmental sustainability and economic growth go together. The new BC Salmon Innovation and Restoration Fund will restore and protect our wild Pacific salmon, while creating more economic opportunities and jobs for the people of British Columbia. I am extremely pleased with the very positive partnership we have developed with the Government of BC in this important area. By working together with the provincial government, conservation groups, scientists and industry we are confident that we can enhance our fisheries and protect our wild fish stocks,” said Wilkinson. It will also support fisheries innovation, science and infrastructure so that BC fish stocks can be harvested sustainably into the future. These investments support the protection of BC’s wild fisheries and enhance sustainability in the aquaculture industry. The fund is now open to proposals from Indigenous groups, conservation groups, commercial organizations in the wild fisheries and industry sectors, recreational fisheries, as well as non-commercial organizations such as universities and academia, industry associations and research institutions. The fund will support projects that leverage local knowledge such as local Indigenous monitoring and guardianship programs and community-led habitat restoration, among other innovative projects aimed at protecting and restoring wild fish stocks. Science partnerships: to support collaborations with academia and other research institutions to improve our knowledge and understanding of impacts to wild stocks and to develop sustainable fishing practices. The investments from the British Columbia Salmon Restoration and Innovation Fund will ensure BC’s wild fisheries are environmentally and economically sustainable for the long-term and that jobs in the fishery are resilient to the challenges of climate change and evolving economic conditions. The fund will help protect and restore priority wild BC fish stocks, including Pacific salmon. Consumers will also benefit from high-quality, sustainably sourced, Canadian fish and seafood products. “The BC Salmon Restoration and Innovation Fund demonstrates that the province is taking significant action to support wild salmon stocks and fisheries. 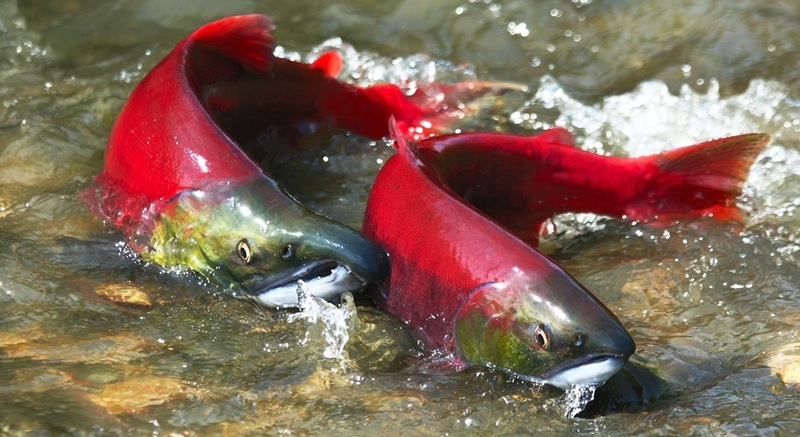 We are working in partnership with Fisheries and Oceans Canada to protect the health of wild salmon, and support the First Nations, communities and industries that rely on them,” added Lana Popham, BC Minister of Agriculture. The British Columbia Salmon Restoration and Innovation Fund is a 70% federal, 30% provincial cost-shared program. The Government of Canada is investing $100 million over five years for the British Columbia Salmon Restoration and Innovation Fund and will also provide a one-time contribution of $5 million to the Pacific Salmon Endowment Fund. The Government of British Columbia is investing $42.85 million over five years. Salmon are a part of intricate food webs in both their freshwater and marine environments, affecting everything from tiny zooplankton to large mammals like whales, bears and birds of prey. Culturally, Chinook is an important species for many BC First Nations. It is also part of the province’s long tradition of recreational and sport fishing, which is connected to BC’s tourism industry. Commercial fishing also plays a large role in BC’s economy. “Wild salmon are a part of who we are in this province. Over the past 20 months, our government has been working with First Nations, communities, commercial and recreational fisheries, environmental organizations, and other experts to develop a path forward, towards a sustainable BC fishery that supports wild salmon. By dedicating resources to habitat restoration and salmon runs, this fund will build on that work to make sure wild salmon stocks thrive in BC,” concluded BC Premier Horgan. Learn more about eligibility, project criteria and how to apply for the BC Salmon Restoration and Innovation Fund.